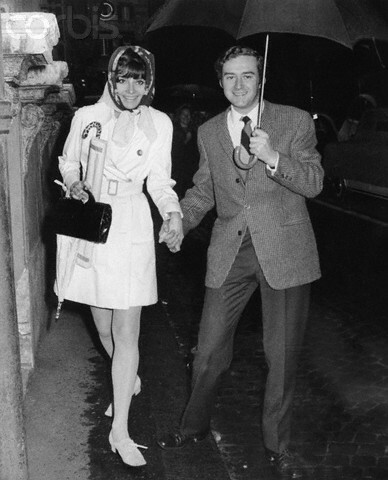 Audrey Hepburn & Andrea Dotti. . Wallpaper and background images in the Audrey Hepburn club tagged: audrey hepburn andrea dotti. This Audrey Hepburn photo contains parasol and sunshade. There might also be business suit, street, city scene, urban setting, and box coat.